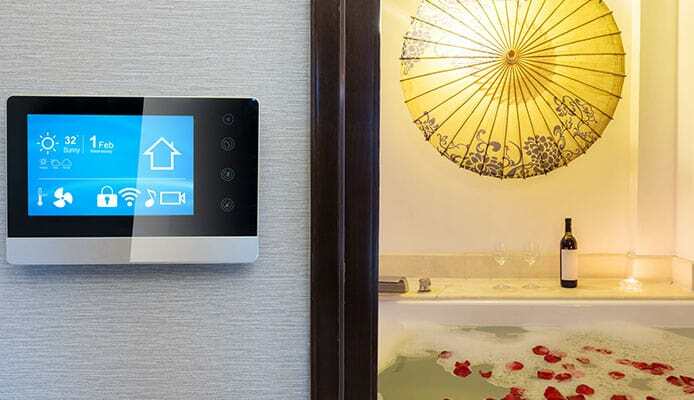 Hot tub control panel – think of it as the “device” that controls your spa experience. Is the hot tub temperature okay? Is the water below the recommended level? Is the sensor working properly? The control panel will answer these questions for you and more. In fact, it will tell you everything you need to know about your equipment. 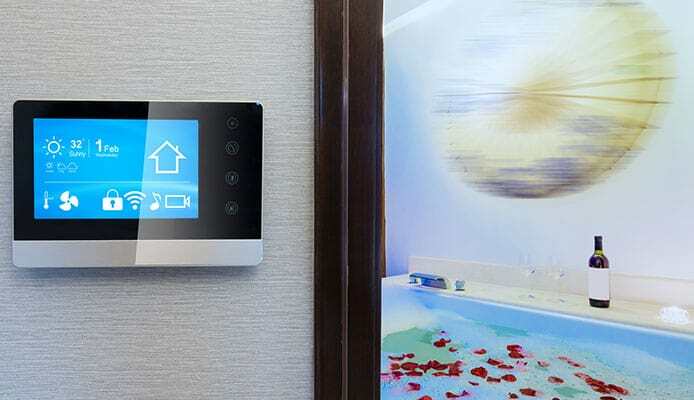 Your spa control gives you the power to customize your soaking moments to what thrills and relaxes you the most. Based on the model of your tub, you can have up to 8 buttons with different functions. Here are the most common spa control panel options and how each works. Also known as a bubbler, the blower button controls the amount of air entering the hot tub from the blower. The blower itself forces air through injectors into the water. But don’t confuse this one with the jet (which we will look at right after this) – a blower is designed to cause gentle bubbling to enhance your hot tub experience. The jet button controls the amount of water flowing through the jets. This is more powerful than the blower button and depending on the model or size of your spa, you could have even two or three buttons controlling different jet sections within your hot tub. The way this button works is that when you push it once, the jets start but on a low speed. Pressing the button twice will raise the speed, increasing the amount of water pumped through the jets. Do you love to have your soak in dimmed light? Very bright light? Or one that makes you feel like you are in a club? Whatever your choice and based on the model of your spa, you can customize your lighting to suit your mood right from your hot tub control panel. Just press and press and…press the light button until you get a setting that pleases you. It would be best to read the user’s manual first to find out what lighting options your model provides. This is what gives a hot tub its name as without it, there is no “Hot tub”. The temperature control raises and lowers your hot tub temperature. All modern spas have their temperature buttons programmed to keep the water at a max of 40˚C. You can adjust the temperature of your water to what works best for you but you cannot exceed the 40˚C mark. Important tip: Always keep the temperature of your spa constant so that you don’t have to heat your water every time you want to jump in. 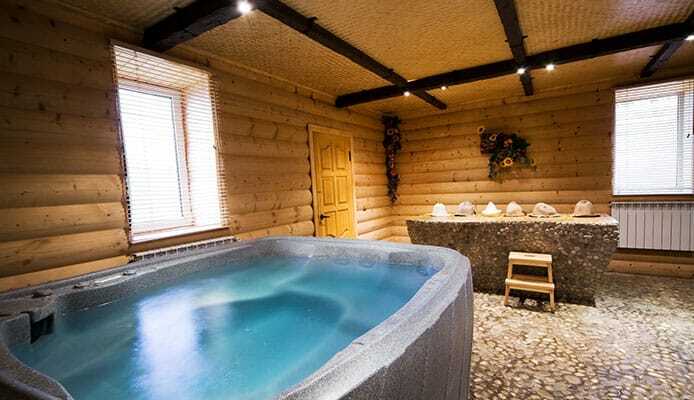 This will make your hot tub heater more durable and equipment more energy efficient. Is your spa water too hot? Is the amount of water passing though the heater enough? All this information will be displayed in your LCD. If there is any spa component that is not working properly, you will get an error message on your LCD display. GFCI or GFI failure: This means that your hot tub breaker has malfunctioned. You should fix this immediately or get a professional to do it for you, as using your spa in this state could be unsafe. OHH, OH, HTR TEMP LMT, or HH: If you find any of these messages on your display, never attempt to jump into the water as your equipment is trying to tell you that the water has overheated. Remove your hot tub cover so that the system can cool off before getting a soak. You can check the owner’s manual to familiarize yourself with other errors that might display on your LCD. This way, you will be able to fix the problems as soon as possible. Control panel doesn’t light up: Check to see if it is plugged in properly. Maybe the wiring is loose so make sure it is tight and secure. Numbers are blank or missing: This could be due to rust, dirt, or moisture. Remove the panel and clean it thoroughly. You can’t read the controls when it is dark: Check to see if the backlights have burnt out. They may need a replacement. The panel is flickering: Make sure your spa is getting enough power. You could be experiencing low voltage issues hence your hot tub control panel is not getting enough voltage to run its operations. Hot tub control panel is the most important part of you hot tub as it tells you all need to know about your equipment. It helps you identify some of the common spa errors and rectify them before they escalate to huge untreatable problems. We hope that this article helps you understand the most important menus listed on a spa control panel. 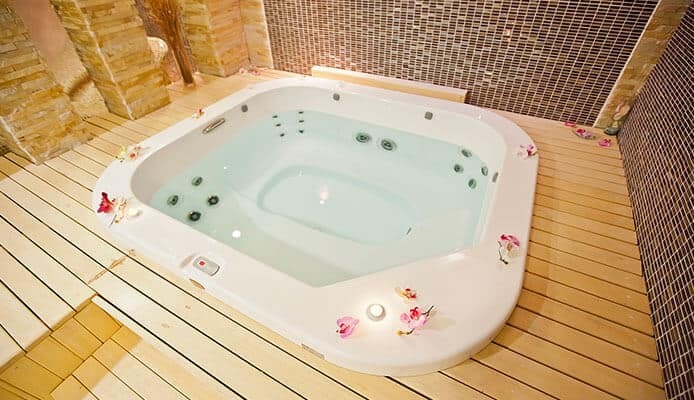 But we recommend that you find out what your specific hot tub controls have to offer so that you can have more fun during your soak. What Is The Difference Between Hot Tub And Spa?